So now I have a few more things to add to my “To Do” list. However, it is very easy to see that the effort spent up-front inserting these sleeves is well worth the time and hassle saved throughout the year. I’m all about simplifying the process and eliminating one more piece of equipment to coordinate, manage and keep track of. This entry was posted in Fundraising and tagged boy scouts, flag service, fund raising, fundraiser, landscaper, pvc insert, rebar, scout camp. Bookmark the permalink. How do we install the sleeve in the ground without a landscaper? That is not in any of the instructions. Hi I live in Illinois and I would like to do this fundraiser with my Scout Troop. Do you have any instructions or tips you could provide me? (Size of PVC pole for flag, how to attach the flag to the pole, what size of PVC you use to create the sleeve, how deep does the sleeve go, where do you buy your flags?) Any help would be greatly appreciated. 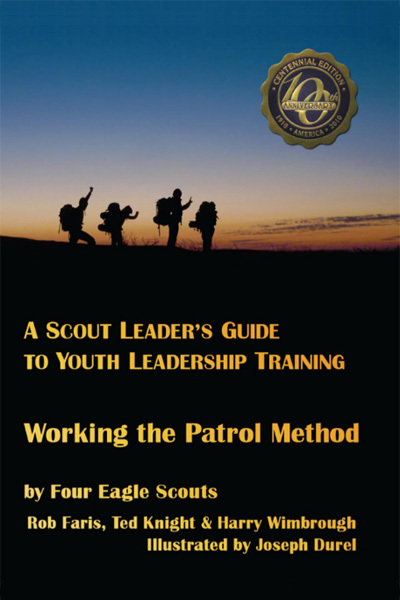 I am new Scoutmaster and new to the fundraising stuff. All the tips and answers to your questions can be found in “Flag Service Problems and Solutions” parts 1, 2 and 3. Let me know if you have any questions after reading all those, including the comments. I’ve thought about doing this, but how do you keep the pvc sleeve from filling up with lawn clippings/dirt and other debris? Maybe I don’t need to worry about it. I wouldn’t worry about it. We’re up to 110 flags now and haven’t had any problems and today begins our 4th year using pvc sleeves like this. The grass does grow over the hole making it hard to find, but painting a location symbol on the curb helped with that issue. Thanks, I also had a question about how you distribute the responsibility (and money) among your scouts. We try to just make all the work and money even among everyone, but some scouts are much more helpful than others. Have you worked out a good system? Yes, participation is the 2nd problem I alluded to in this post. The system I’ve been using for 2 of the past 3 years works like this: Scouts who plan on attending summer camp are asked to pay $80. The first $40 is collected by their family subscribing to our flag service. The second $40 is out of pocket so they have some skin in the game too. The remaining expense for camp registration and food has been paid for by this fundraiser thus far (which amounts to about $100 per boy). I like this arrangement since the scout still needs to come up with cash for craft kits, targets and personal trading post spending. To address the issue of ongoing involvement, I offer the boys an incentive to earn $40 back. In other words, if they come and do the flag service 12 of 16 times (assuming 8 service dates), I will refund them $40 on November 30th. I have some boys who are very diligent about this offer and others who are not…and it’s obviously their choice. Every boy is given multiple opportunities to be involved, and if they still won’t, that just gives me a little more money to buy/upgrade troop equipment in the end.